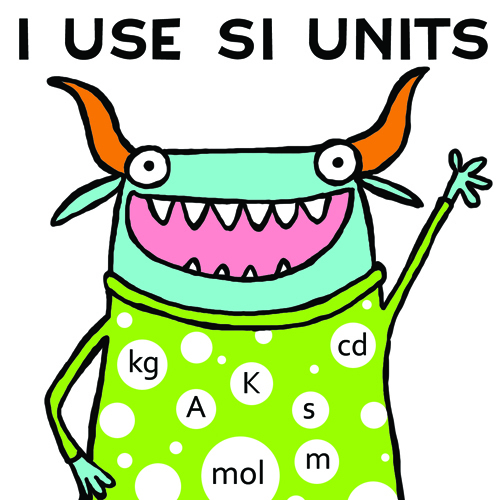 Monster #322 — I Use SI Units! I haven’t gotten around to scanning my most recent doodles from my sketchbook so instead you get to see my most recent Fishcakes monster. Science is woefully underrepresented in my designs. I’ve got grammar/punctuation and dessert covered, but very little science. I don’t want my scientifically-minded customers to feel left out, so the SI unit monster is here to save the day. Or at least measure it accurately in metres. Yay for the updated metric monsters! It’s time they took over and converted the USA. Seriously, the US needs to get over this need to do everything their way. Bloop bloop. You know what I like? I like the sweater that looks like a test tube waiting to bubble over. 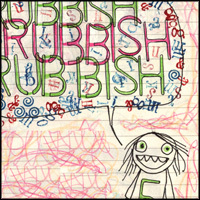 I like to think of myself as scientifically-minded and a citizen of the world and all, but, I confess…. I prefer to use DJ Units. To convert a meter to DJ Units, just calculate the number of pieces of chocolate it would take to get you to move a meter.